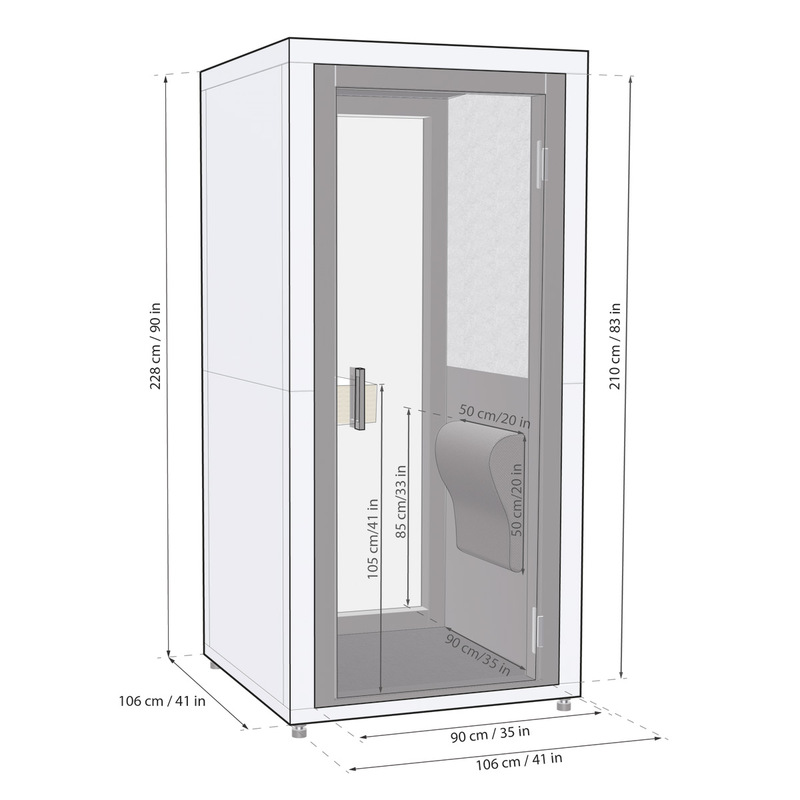 Stay in touch without disturbances wherever you want with our flexible & space-saving phone booth. On casters for easy relocation and a casual touch! 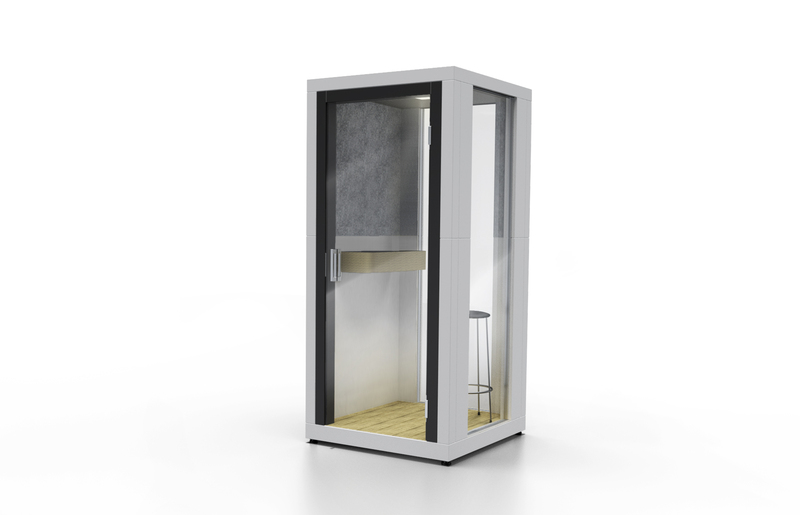 Stand up booth with high table. 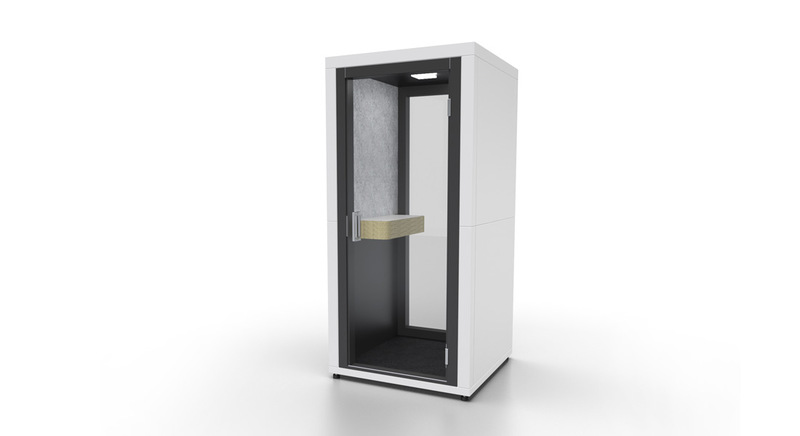 HOLA: Our flexible, space-saving & elegant looking phone booth for one person. On casters for easy relocation. Offers a comfortable working environment. 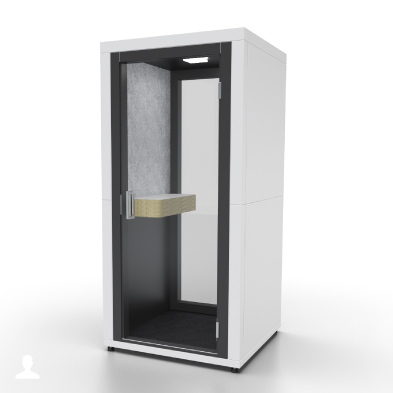 Our booths are on average at 45 dB, for the HOLA model (being a new product) the acoustic measurements are pending, approx. 35dB. 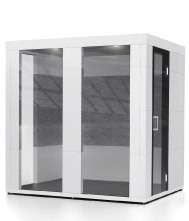 The bricks and interior accessories/components of the booth are developed with fire retardant material to suit requirements. Thanks to the patented modular system you can place the windows and door in different positions. 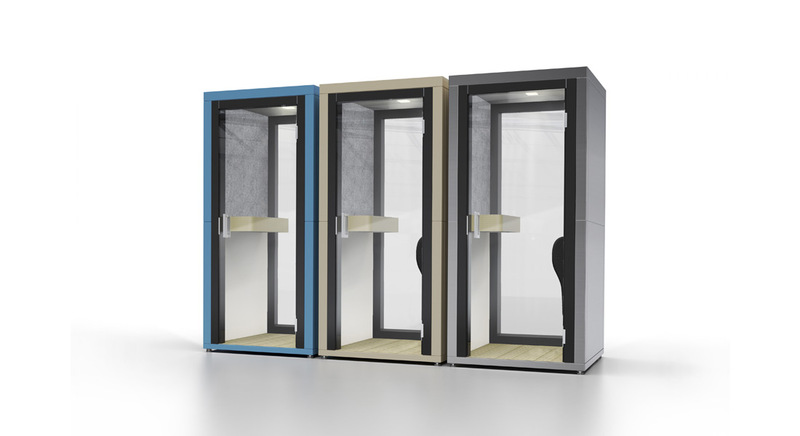 You can order our booths in all available RAL colours and change the surface colour of the desk. 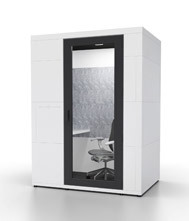 The options we offer give you freedom to design your work space and your work dynamics. Easy relocation thanks to its casters. Incredibly quick installation thanks to our patented modular system. Also, you can relocate our HOLA booths easily thanks to its casters. You can put several HOLA models against a window front letting the sun light pass through and making the most out of your existing space. Special coating Special resistant acrylic surface for use at trade shows and road shows with frequent assembly and disassembly. Additional windows Up to two windows 90 x 210 cm position to be defined by client. Seating Wall cushion “drop” form, different fabric options, ask us.